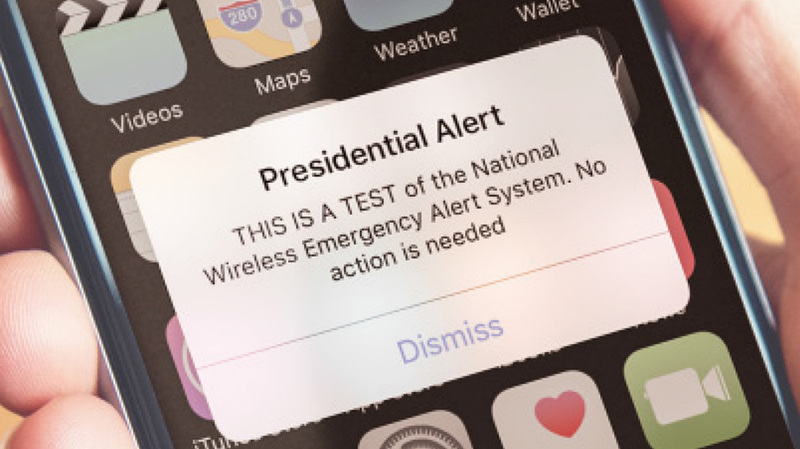 Tomorrow, at around 2:18PM Eastern (11:18AM Pacific), you’ll get a text message flagged as a “Presidential Alert.” Your phone may even make a loud noise that you aren’t used to hearing. UPDATE: Test has been completed! The message is arriving as a part of the Wireless Emergency Alert (WEA) system, which broadcasts messages to the public when they need to be informed about dangerous situations. This is the first nationwide Presidential-level test, and no, you cannot opt out of it. The only reason you would not receive it is if your carrier isn’t a part of the program. Verizon, T-Mobile, AT&T, and Sprint all participate in the program, so you’ll likely get the test message. The test was supposed to happen on September 20, but was pushed back to October 3, which is tomorrow. If you want to learn more, you can checkout the FEMA link below, as well as a link to a FAQ in PDF form.